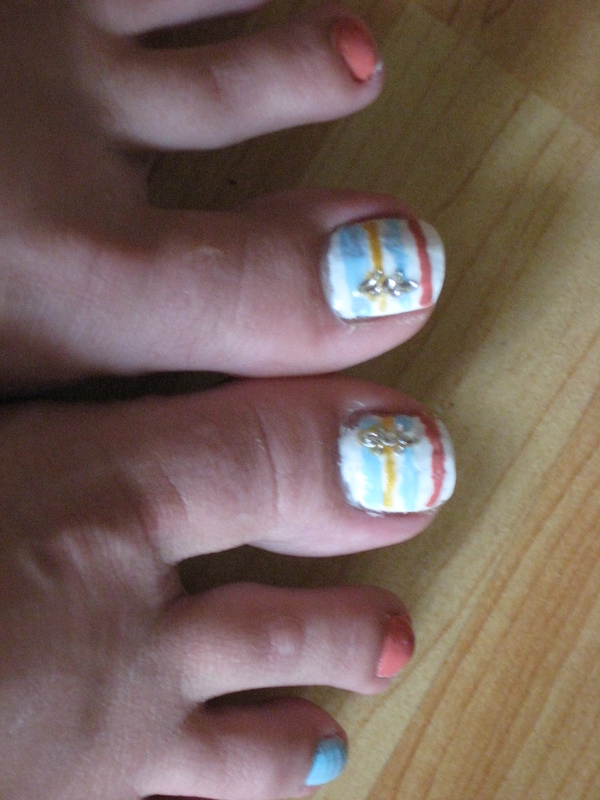 I did both my fingers and toes this weekend. I found both of these designs on Pinterest, which I know you’re shocked to hear. The fingers I pretty much followed the picture, while on the toes (piggys) I adjusted the colors slightly. 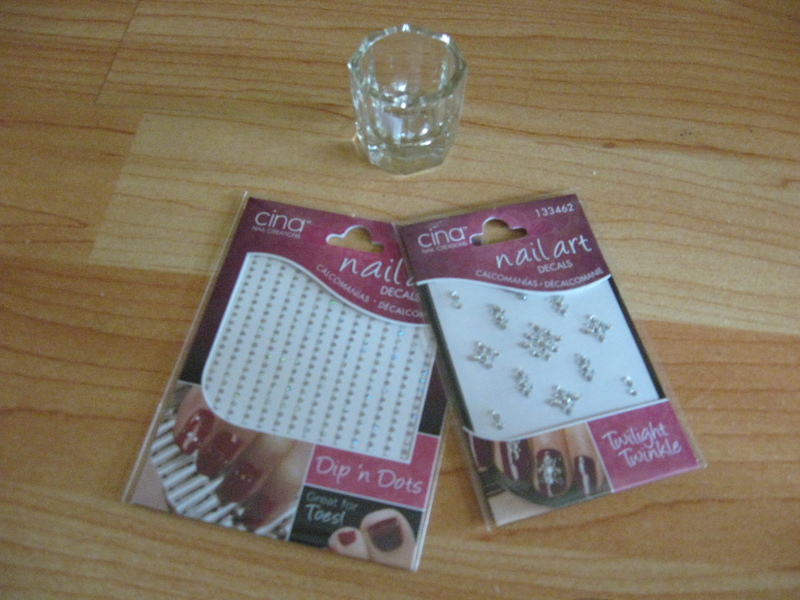 I also purchased some rhinestone stickers and a glass dappen cup, which I’ll use as to keep my artbrush clean when I make my designs. 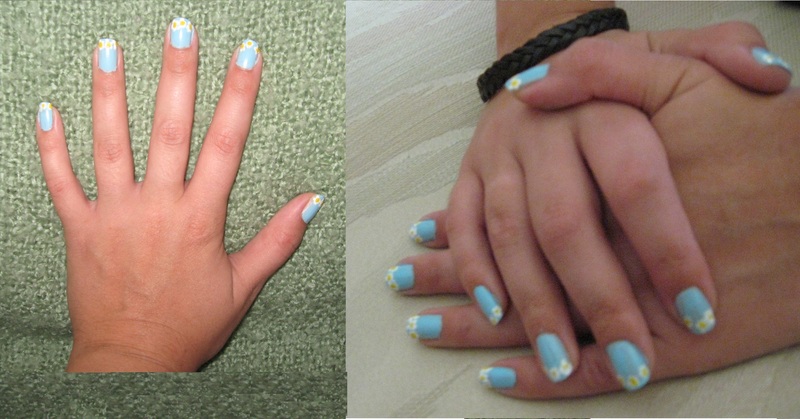 For my fingers I did a delicate little daisy chain (<<original design). I painted the base color last night so it would be completely dry. The flowers are done in white and yellow. Use the white to make a flower shape and the yellow fills the center. For my toes I found this really cute multi-colored design for little piggys. Just to warn you, the website is in Chinese. But you can still look at the pictures! I used a more muted pink and a light blue. 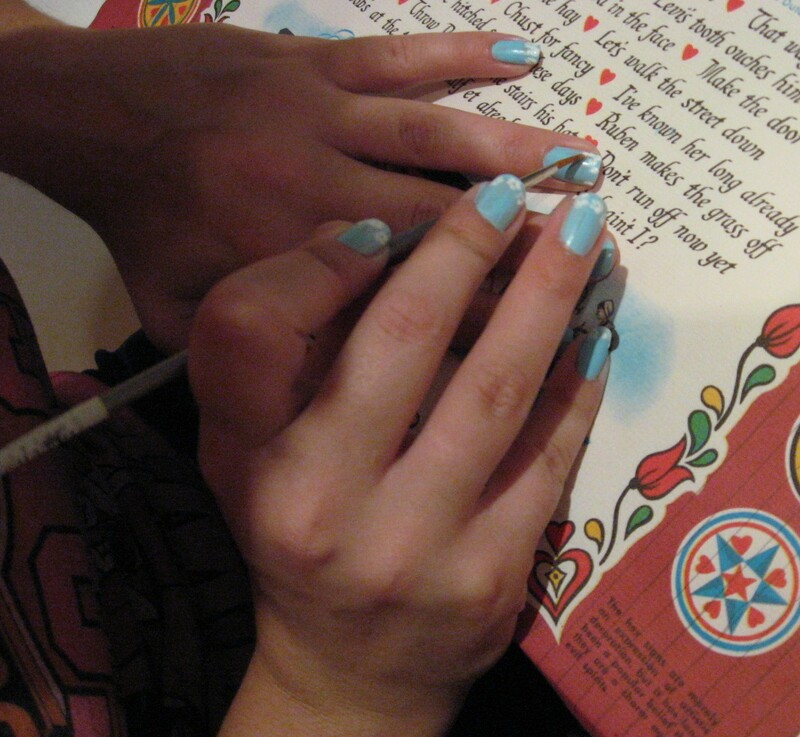 There’s also a glitter accent nail. The big piggy has the art work on it, with stripes in all the colors used. I also used some of the rhinestones to add a bit of bling. OK, so here are the nail polishes I use. No, they’re not the “top of the line.” I get them at Walgreens and Walmart and I don’t spend more than $2. I just can’t bring myself to pay more than $3 for a tiny little bottle of lacquer. Ok, so I can’t find the exact color of brown I want. But I did find a website that shows you how to mix your own colors. But that’s for another post. In the meantime here they are.